I have to confess that I’ve always been a bit of a Rimmel nail polish fangirl, but since I started blogging, I’ve been leaning towards a broader array of brands. I love their colours, but agree that they don’t dry as quickly as they claim to! Oh wow that is a fantastically pretty colour! This is gorgeous! 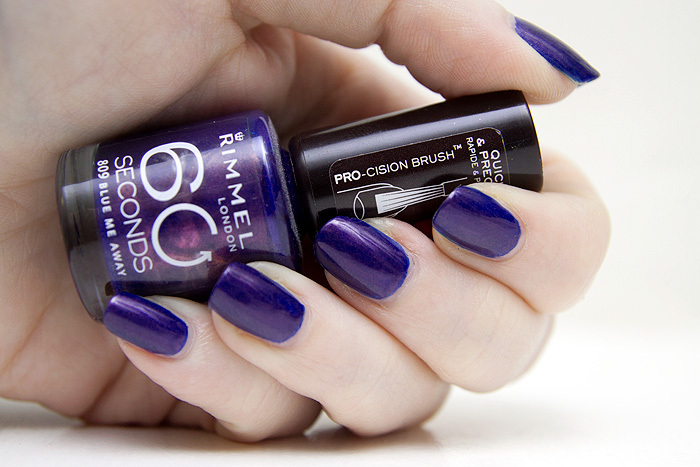 I’m tempted to try to get over my issues with Rimmel (my make-up brand of choice as a teenager…shudder) for it!